CONTEST IS CLOSED - VOTE FOR YOUR FAVORITE ENTRY TO DECIDE THE WINNER! This is a series of contests themed around a set of fantastical "elements". The first theme was Water. Next, we did Fire. The current theme is EARTH. Your entry can be set in any time period or based on any universe. LEGO entries are encouraged, but we also accept other types of artwork! The only requirement is that the element of EARTH must feature prominently in your entry. By "earth", I primarily mean rocks, dirt, sand, crystals, minerals, caves - even poisonous clouds of gas. NOT PLANTS. Your entry can feature plants, but we'd prefer it to focus on rocks. Plants will probably going to be a separate contest called "life" or something. Also, the earth in your contest should be more than just a background - it should be a central element of the entry. 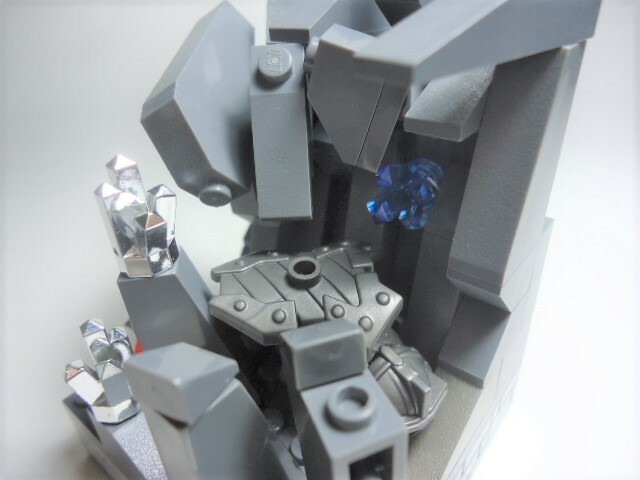 Build a LEGO vignette of people exploring a cave or dodging a rockslide! Or something more creative - it's up to you! Unlike the other 2 contests, this contest will be judged by a public poll! So, presentation is key - make your entry look as cool as possible in a single image if you can! There will be 3 winners. Each winner will get a code they can use to take a certain amount of money off one order from my shop (it also subtracts from shipping, so your order can be completely free!) and a medal icon added to their account here on the forums. 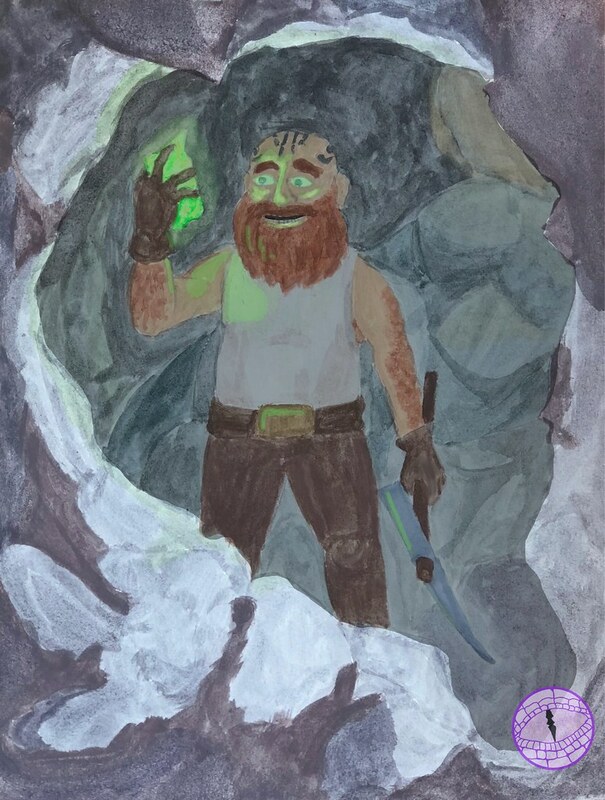 There may be some "admin's choice" winners too, if we really like an entry that didn't win - and we'll give bonus prizes for entries set in Wulfgard or Nova Refuge too! Just link to your entry in a reply to this topic! Yes, you must have a forum account to enter, and I encourage you to post your entry as a topic in the appropriate board here, like the Construction Zone or Artwork boards. It's not required, but we'd love to have some new members hanging around! You can even host your images in our own Gallery here, which now has a LEGO section anyone can use! But if you prefer, you can still host your images on another website and simply link to them here. 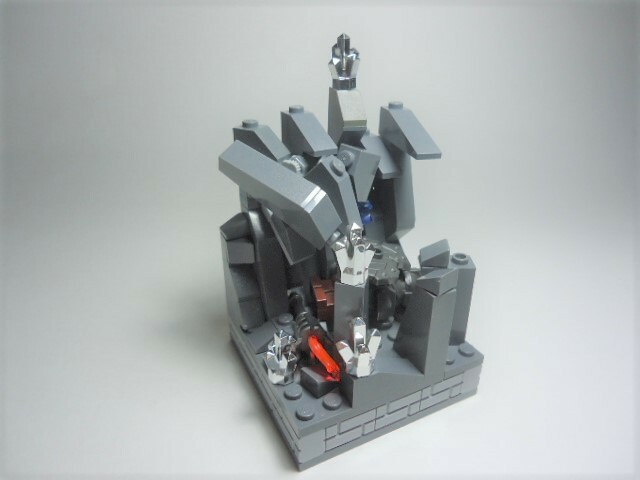 As stated previously, LEGO entries are encouraged, but you can also enter another type of artwork You may submit up to 2 entries. The current deadline is August 15th. I might give this a try. Would need to look around for Earth-flavored LEGO stuff of mine though. Will get up my entries up at some point. 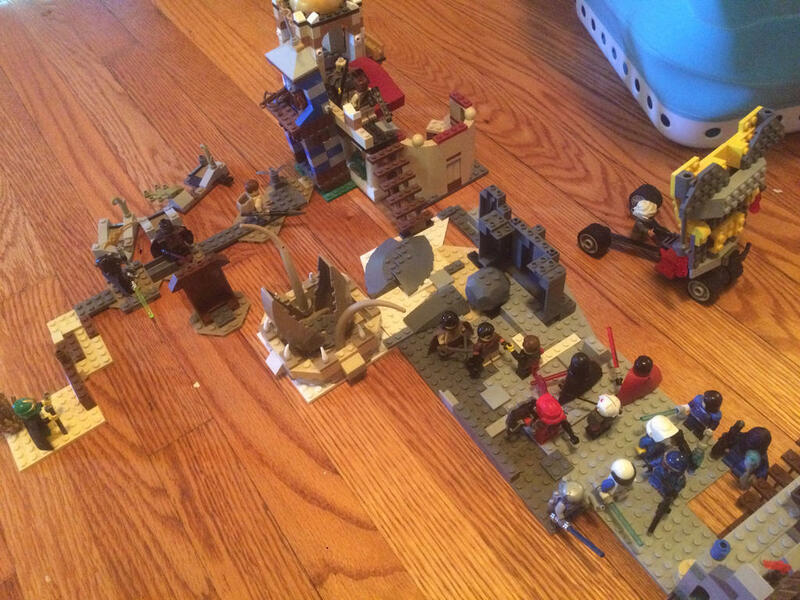 So, Scorp, would a LEGO diorama that's a setting/snapshot of an original setting be acceptable? Also, for my entry, as far as having a link to it, would a link to the images of the diorama as posted on Deviantart be acceptable? Because MOC Pages has been down for a while. Anywhere you choose to host the images is fine - Flickr, Deviantart, our own forum gallery, etc. Honestly, it's been down more than it's been up for the past month. Nothing new admittedly, but still unfortunate. Edited by The Werewolff, 28 June 2018 - 05:04 PM. Alright! So then, how many images am I allowed for my entry? Just one, or is there not a set number for how many pictures my diorama/entry can have? The owner of MOCpages doesn't seem to care about it anymore. People have been asking him on Twitter to update, fix, or even just sell the website, and he either doesn't respond or blocks them. At least, as far as I've seen. Sad, really. You can post as many images as you like, but you should have 1 main image that's your best one, since the contest judging is a public poll this time, and unfortunately most people tend to look at only 1 image before voting, lol. Alright, here's my entry, finally done and with a solid 20 pics of it in total. I hope you all think it's OK. I didn't exactly have too many "Earth" type bricks and pieces. Huh. Nearing the end of the deadline and I'm still the only entry so far. Odd. I'd have figured at least a few other people would have put forward entries by now. I will get it up by the time I get back from the Boardwalk Chapel. Since I might be gone around the end of July, and since we have so few entries, I thought I would extend the deadline and try to drum up some more participants. The new deadline is August 15th! So get out there and build (or draw) guys! Remember, delve greedily and deep! Feel the strength of the earth! NOTHING BEATS ROCK! Oh this is exactly what I was hoping for. Now I know I can make the deadline! Will try to get one of my entries up at some point this weekend if all goes well. Depending on when orders arrive, I may or may not have my second entry be either a MOC or a Drawing. 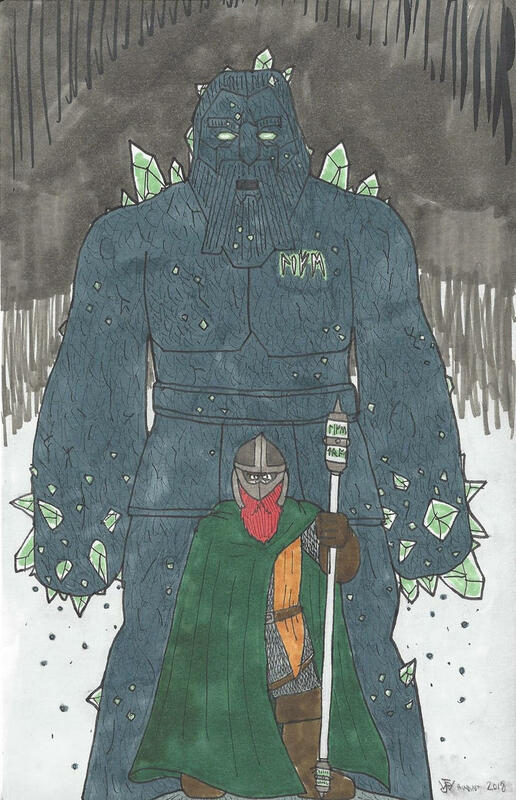 Here is my entry for the Earth elemental contest! It could theoretically be set in Wulfgard, but probably is more just general fantasy illustration than anything else. Contest closes the day after tomorrow! The subject. 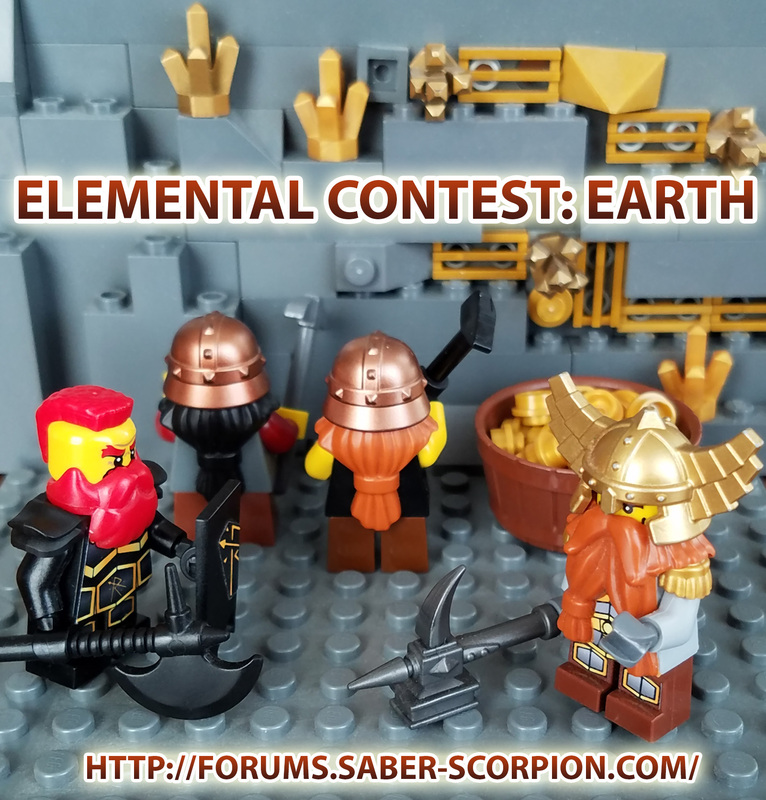 "Elemental Contest: Earth" is not very specific or very inspiring. People aren't sure what kind of contest it is, what it's about, or what the heck they should build. This has been an ongoing problem with the "elemental" contest series, which is why I was planning to end it after last time, but when I held some polls about what my next contest should be, this idea won. Yet, almost no one entered. 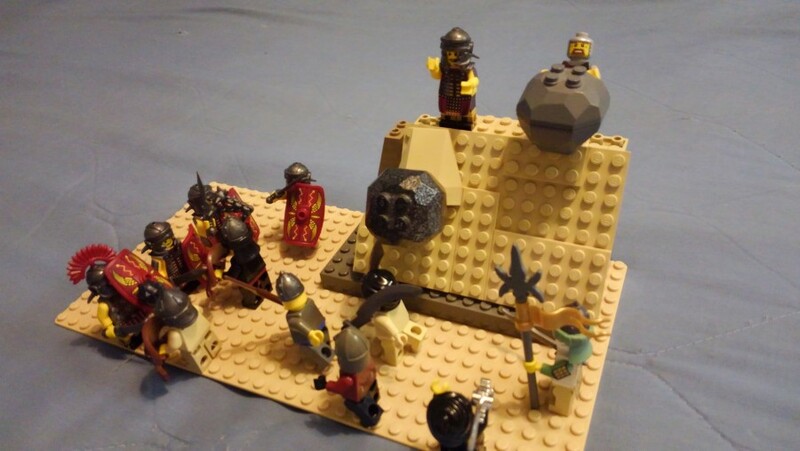 So, next time I will pick a more concrete idea like "fantasy minifig contest", or perhaps even more specific, like "Wulfgard faction contest" or "fantasy villain contest", for example. The forums. I required participants to join the Saber-Scorpion's Lair Forums and post their entries here, in the hopes that it would bring new members to SSLF. But instead, it seems to have simply been a barrier to entry. Next time, I'll let people post entries anywhere, and submit them via social media, forums, or email. The prizes. I'm beginning to wonder if the "$$ worth of stuff from my shop" is the best idea for prizes. It seems like the ideal prize to me, since you get to pick what you want, but perhaps it's too vague or too boring to attract interest. Maybe it would be better to make some unique prizes and include photos of them. I'm beginning to sense a theme, Guys. Also, we now have four different entries, though only three are listed.